Silent dust separator equipped with fine filter and H13 filter. Efficient air pulse cleaning, manometer and collection in 15 litre plastic bag. Socket with self-start for the connection of electric tools. Constructed for continuous extraction of fine grinding and plaster dust. The wheels are of the "non-marking type", puncture free and lockable at the front. Supplied fitted and complete with Ø38 mm 4 metre suction hose, cleaning equipment and transport protection. Can be upgraded with Longopack for 100% dust free discharge. 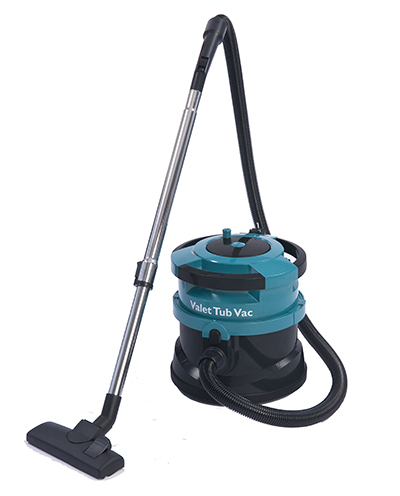 Compact and lightweight tub vacuum that has excellent manoeuvra-bility ideal for use in healthcare, education and office facilities. of all particles of 0,3 microns and larger. • Light and manoeuvrable ideal for transporting between cleaning jobs. • Powerful 1400 W motor that gives exceptional cleaning power. 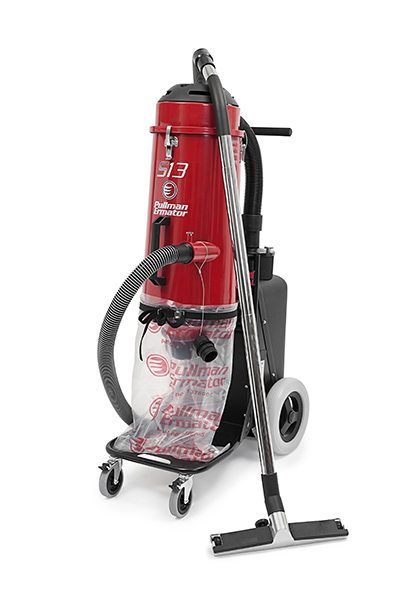 • 5 litre dust capacity. • Built in cable rewind prevents tangling and prolongs cable life. or there is a blockage preventing any damage to the motor. - for efficient HEPA vacuum cleaning after mould remediation etc. hard-to-reach spaces after restoration jobs in attics and crawl spaces etc. The tool is ideal for both large and small surface cleaning. The flexible neck permits the tool to find and track the surface as the tool is moved up, down, or across a vertical wall. The tool effectively finds the proper angle to the surface and self adjusts as the tool moves. Thus the tool is always in contact with the surface to be cleaned regardless of the angle. The VAC-Away is a strong metal tool for scraping off lead paint, paint, asbestos, mould etc. Just attach the VAC-Away to the hose of your HEPA dust extracter. • Unique design to ensure capture of small particles on either horizontal or vertical surfaces. • A narrow profile makes it ideal for hard-to-reach places. • A universal adapter fits a variety of vacuum hose sizes on either your HEPA or Shop Vac. 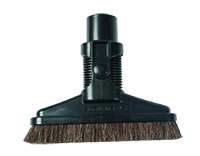 • Universal blade attachment system allows for easy replacement of scraping tip. • Constructed to facilitate easy decontamination.